I had an interesting conversation recently concerning my article about two sisters and their difficulties over a lifetime of lost time abduction encounters. The conversation was based on the fact that not only have I come to the conclusion that writing about real time abductions was a waste of my time and the Real-Time Abductees time too, but I explained that writing about this group of unusual people and their experiences did not seem to interest the public or any other group or researchers at all. The fact the real time abductees could have been a wealth of data on the subject of abduction and lost time did not seem to be of interest to anyone in any form. I am sure that a great deal of it was due to the fact that my articles about their experiences were told as they related them, which was in a logical truthful fashion. My articles were not filled with movie script type detailed, colorful descriptions of amazing aliens and their crafts. I do not write horror or fantasy. I write what really goes on, which I feel is just too boring and black and white for the average paranormal reader. Long ago the lines between good entertainment for fun and real research became so distorted in the subjects we consider "unknown" that truth, fiction, fraud and research became so convoluted that all real answers to real questions have been lost, Trying to work in this area, using fact or truth without the color, became impossible or was so confused that it is at the point of being quite impossible. Real-time abductions are events that occur to people who are fully awake and alert who are going about the business of their normal daily routines and who are suddenly abducted against their will. These people suffer lost time and then find they are returned often to a different place from where they were taken . They are very often ill, dazed and at times hurt. They can recall when the event starts, but have little memory of what happened to them before they find themselves awakening hours later. Some of the abductees have flashed memories of what took place during their abductions. Some return with knowledge or skills or thoughts they did not have before they were taken. Many suffer these events more than once during their life. All are somehow changed during the experience. During my years of writing about these fascinating people, I promised them that I would answer without embellishment any questions, giving the most truthful answers I could to the questions asked. It took courage for the abductees to allow me to write about them or to answer questions concerning their experiences. The fact that not one person or group or organization ever wanted any information concerning their ordeals with these strange abductions made these people recoil from reaching out, and closed the door at my attempts at finding answers. Finally, after all of these years, we have had someone ask a few questions about their abduction events. After a conversation with the abductees, it was decided that I could answer the handful of questions before I end my adventure of writing about this group of people to whom I refer to as The Real Time Abductees. Adding salt to the wound of rejection for the abductees is the fact that the questions were not even asked directly to me or them, but came by way of an email of a third party who was corresponding with the person who finally did ask a few questions about the abductees encounters. Question: "What occurred during the abductions?" Answer: Nothing during this abduction of the two sisters case as it was stopped ,however, during the battle to stop it both women were hurt as the article about the two sisters explains. 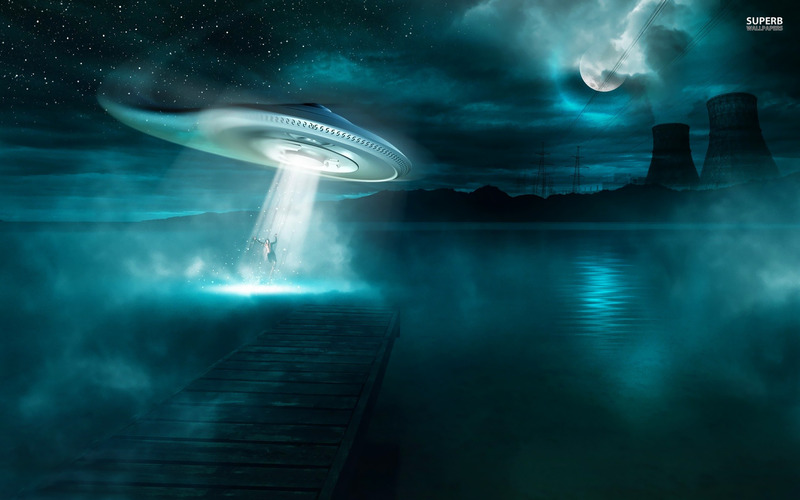 Other abductees do have flash memories of what took place including the recall of multiple beings surrounding the abductee or bright lights making it difficult to see what is going on around them. The abductees I refer to as the Real Time Abductees have no clear memory of being examined or touched. All of the abductees agree that they have had their memory wiped clean of the events before they are returned. Some flashes of what took place do remain in a few of the abductees . Others feel their abductors wiped too much memory taking with it parts of their lifetime memories that they can no longer remember. Question: "What are the lingering health problems?" Answer: This is a very lengthy list that includes many different problems for different people. I will give the overall problems, which they all share. The spine , neck and skeleton of the abductees all have been altered leaving them with issues from compression to actual breaks. Many have had large spurs grow in odd places that burrow into the surrounding muscles, leaving them in constant pain. Almost all have had to seek long-term medical help to deal with some form of spinal and bone issues. It has been common for an abductee to be told that they show that bones they never broke now show clear signs upon being x-rayed of having been broken. There are cases when a shoulder bone (or other large bone) shows that it was, without question, broken and has healed poorly. Spinal fractures also are commonly found. One of the abductees, when they had X-rays taken for a different health issue, was asked when in the past they had had the accident when it was found that theypresented both a bad shoulder and broken back, which had healed. All the abductees have problems with light and they cannot tolerate bright sun or bright lights of any kind, including fluorescent lighting. All of the abductees require very dark sunglasses, and sit in shaded areas as the bright sun both blinds them and causes their eyes to hurt. Many of the abductees suffer from very large red rashes that come and go, which are uncontrollable and painful. One abductee has a growing reptile-like scale rash spreading across her body that does not respond to any treatment. The abductees have issues that would be presented in those who have had problems with their adrenal , pituitary and thyroid functions. This is just a partial list of the problems they deal with. On the other side of the coin, the abductees all have had their IQ increase and have been able to increase their skill sets with ease. The strangest thing they all share in common and cannot explain is that they return with new knowledge about something tha they did not have before the abduction, or with thoughts or visions of what will happen in the future that always prove to be true. Question: "What did the abductors look like?" Answer: Since the abductee's memory is always wiped or cleaned before they are returned, it is very hard to answer this question. The main combined agreed-to description by the abductees that their abductors are built or shown in a human form with one head, two arms and two legs. Some feel they are hairless with light skin while others feel they are covered in some type of skin or suit. They do not recall their faces or features. However, they do all agree that they have a bad odor, similar to mold and sulfur. Question: "What was inside the green light?" Answer: Nothing, but a large sweeping ray of green light that runs from a very hot area that can turn extremely cold in a second. It does have a vibration or hum to it. It is part of a tool used to scoop up their victims. Question: "Is there a merger between supernatural and extraterrestrial worlds, or is this a terrestrial demonic attack?" Answer: There seem to be ways that we do not understand that dimensions we have no knowledge of can intermingle when they are needed. It seems clear in the two sisters' case that the energy of this woman's departed family members were able to manifest in order to protect the woman from her abductor. No one on this planet understands how the interdimensional worlds work or how those who are part of them enter and exit the dimension that we live in. In this case, we see that all the things that we do not understand come into focus as a crossing of dimensions, such as those that clearly took place in front of the family, as in the two sisters abduction case. Obviously, it is a simple case of our not being able to understand the way the universe or how the multi-dimensions work or interact. The fact is that "they" do know how to manipulate and transport them (when needed) between dimensions. The sisters did not feel this was a demonic issue, but one of her family warning the unknown creature or alien that it needs to stop. The creature has not returned and, for now, all abductions seem to have ended for the two sisters family. Time will tell the answers to all of these questions as eventually we will learn how all of this works and we will be able to understand and handle our human dimension with intelligence. For now, we as a species seem simply content with remaining in the dark on many things we do not understand and label "paranormal. " It is, of course, all science that we simply do not yet grasp. Question: "Was the abductee asked any questions about being a human?" I did not answer this question at the time It was left, as I had just finished and published an article on warnings given by the abductees. All the abductees have returned with the impressions of both natural and man-made disasters and an immanent world war impressed upon them. They were also given warnings concerning "giving up our humanity" so easily to technology, which provides easy access to our control. I have written about all of those things repeatedly. Question: "Have the aliens had ever asked any of their human captives any questions?" I thought about this and remembered an older man (who had been taken many times during his life) telling me that he did have an encounter once with a very curious alien who did ask him via thought and images questions that he found very unusual. The interview with this abductee stuck out in my mind and I was able to locate the notes that I took while talking with him. He was not comfortable with me writing his encounters and until now I had nowhere to write about the part of his interview that discussed the alien questions. The man told me the alien communicated by showing him visions or images or placed thoughts in his head. The first thing the alien asked was by showing him images or visions of large groups of people eating. Eating around tables, at fast food restaurants and just about every scene you could image of people eating lots of food. The next thing he was shown were images of people starving to death. All kinds of people from all over the world, many of them children. The images the abductee told me were heartbreaking and made him feel terrible when he viewed them. "Why since we have so much food, some have it yet waste it and others die from not having it?" The alien wanted to know why we do this? He even placed images of rows of farming and piles of freshly caught fish in the man's head. Again the alien asked him why do humans feed some too much and starve others? The abductee told me his mind went blank, as the only answer he had was that he did not know why we do this. The older abductee was also shown an image of what looked like a science lab of some sort with a handful of people working in the lab, also in the manner of thoughts and images or visions presented to him by the alien was asked why we have the technology, but only a few humans are educated or advancing? He was also shown a huge movie screen with what looked like thousands of people cheering at zombies or monsters on the movie screen. The alien did not understand why only a few are educated while the majority of the population does not advance, which keeps our planet at a slow growth rate when it comes to science or advancement. The old man knew his captor thought of us as very primitive and ignorant. Obviously, where they come from everyone is educated and advances. Sad for the human race that we do not do the same. The last questions the man was asked were very interesting to me and ones that really spoke to the fact that we are as strange to them as they are to us. The alien asked the man why only two or even one human raise the children. He was shown a single mother and a family with four or five children sitting on a couch with their mother and father. The being that had abducted the old man wanted to know why only one or two adults raise the children.? At first, the man thought he was asking about war, which we have as an ongoing constant on this planet. The alien stopped this thought in the man's head quickly and was able to communicate that they already knew we were an extremely violent species. The alien kept repeating "self-killing" ..."self-killing." "Why did humans not take care of their human bodies?" The older abductee told me that he tried to answer the questions to the best of his ability, but could tell his captor remained "confused," and did not seem to understand what he was trying to convey to him. The abductee mentioned a few times while telling me about this event that the alien completely lacked any signs of emotion or understanding emotion. He recoiled if the man cried or yelled, or if his fear got the better of him and he shook his fist in anger, or begged to be let go. The man told me that emotion seemed to confuse or even frighten and back off his captors. I believe this lack of emotion on the alien's part is why the two sisters were able to escape, as well as other people, who also displayed outbreaks of emotion that forced their captors to backed off using the element of surprise by displaying something the aliens simply do not understand. I was happy to answer these questions in this last article about the Real Time Abductees, but realize that the overall interest in the "reality" of the subject of real time abductions does not exist in the public mind, or considered much within the paranormal community. If it did, I am sure we would have had over the years of sharing the real time abductees experiences more then the handful of questions that I have answered in this article. This will be the last article I write on abduction as I have other areas of the unknown that I want to explore, and I will be giving my time to that. If I find things I think my readers will be interested in, I will continue to share them on my blog. For now remain aware of your surroundings as one day you may find you are the one, standing alone, in the dead of night and find you are face to face with a cold and emotionless strange being with a great curiosity as to who or what you are. ARE ORBS AND CHEMTRAILS COMING SOON TO YOUR AREA? ET Souls -What Do You Think? Similar Orb Sightings Witnessed Worldwide!